Brain Computer Interfaces, how does it connect with Education as we know it? Today’s post is a special guest blogpost by Tony Ryan. 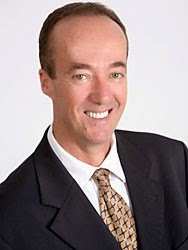 Tony is an extremely well known and respected educator and global speaker who interacts with audiences all over the world connecting education with technology and interactivity. Tony is the creator of ‘Thinkers Keys’ and has published many other hit books and resources for educators. He offers professional support to educational and corporate organisations throughout the world on issues such as innovative thinking and future-proofing. Just imagine: Merely by thinking about it, teachers could control what appears on a projector screen in a classroom over 10 000 km away, with their voices then giving further support to the students in that same room. Sound a little far-fetched? On the contrary, the technology to fulfill that task already exists. Brain-Computer Interface technology is now well-advanced, and promises to deliver some astonishing options in learning and life over the next decade. 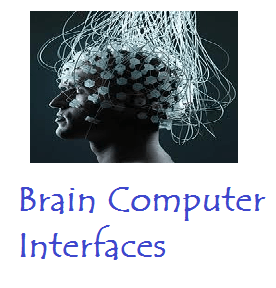 Brain Computer Interfaces? Sometimes referred to as BCIs, they are technologies that allow your thinking to control and even re-create your physical environment. BCIs will challenge us to seriously rethink how we teach students the complex skill of thinking, and the purposes to which they will apply those skills. Some further options? The mobile / cell phone is probably the quintessential modern piece of technology, and its refinements in the next decade are likely to reflect these neuro-advances. The I-Phone 21 may become a form of wearable headware that can transmit your thoughts to another I-Phone 21. The I-Phone 25 may even be a surgically implanted neural device that will enable you to do the same thing. What does this mean for our everyday lives? In such a world, your thinking capacity will become more vital than ever before. Not only will you need to think critically and creatively, you’ll also need to synch yourself with your meta-tech devices. TV quiz shows that adulate those with prodigious factual memory will be supplanted by online shows in which the contestants will compete via control of specific devices eg robots or drones. The thinking of the players will increasingly control computer games. World-wide NeuroGame competitions will be watched by millions of adoring fans. The 2040 Olympic Games may even feature the 1stever gold medal won solely with one’s thinking. What can teachers do in this pending Neuro Age? Intriguingly enough, some core pedagogical concepts will stay in vogue. As much as ever before, students will need to learn how to focus on a specific task. Mindfulness practices will become even more important than ever. Over the past decade, multi-tasking unfortunately became fashionable with our students. This will thankfully change, because BCIs will require the user to focus very specifically on the single task at hand (or mind). The concept of old-fashioned examinations that focus on memory retention may become superfluous. If Smart Drugs http://www.bbc.co.uk/newsbeat/27207469or brain augmentations are commonplace, then ‘cheating’ will take on a whole new meaning. Introduce daily sessions of mindfulness training. Most effective learning experiences are enhanced by a few moments of initial relaxation. Show children how to self-talk. Write up some words such as “This is a great school”, and then ask them to think those words in their head without speaking. They need to silently think the words at normal speaking speed. Then encourage them to use this self-talk when they are thinking through the process for a task. Develop awareness in children that these brain-controlled options will soon exist. Show them the links in this article. Be very upfront about it. Get into ‘futures’ with your class/es. Join the World Future Society. It’s cheap; and they have lots of great resources. With everyday learning, integrate some explicit thinking strategies eg the Thinkers Keys (yes, this is a shameless plug. I wrote them). They will then have the skills for navigating their thinking through this upcoming amazing world. Keep up with neuroscience research. In recent years, two massive projects have accelerated our understanding of the human brain. The US version is called The BRAIN Initiative http://www.nih.gov/science/brain/and will develop even more complex and revolutionary pictures of the brain’s functions. Europe’s Human Brain Project https://www.humanbrainproject.eu/has been exploring the edges of our neuroscience understandings for the past two years. Keep your own brain as active as possible. Some of the key beneficial activities? Physical exercise (yes, it’s probably the most powerful possible support for brain functioning); reading that challenges and stimulates; creative pursuits; all-new learning experiences. Practise stream-of-consciousness brainstorming. Decide upon a question or an issue, and then spend at least 10 mins generating continuous responses. No pauses are allowed. Keep the flow going. Use voice activation systems on your computer or device. Close your eyes, and talk steadily. Later on, open your eyes, and only then read what you have recorded. Learn how to quickly collate the latest research and practice in your specialist field. This is the best time in human history for instantly finding out what you need. Use worthwhile tools that help you to do so. Are there any limits to this NeuroAge? Probably not. I could conjecture on the most unbelievable possibilities for you; and I may still not even scratch the surface of your scalp. We will all need to accept this pending Age of Uncertainty, in which there will be an exponential rush of advancing technologies such as these BCIs. Are there some concerns about these neuro devices? Of course there are. All through human history, there have been good and poor consequences for most new discoveries. We will need to ask questions such as: Is the use of these devices ethical and responsible? Will it make the world a better place for all? One of the greatest benefits? As educators, we love to explore the astonishing capacity of the human mind, and these BCIs will certainly provide some challenging opportunities to do so. What do you think? !